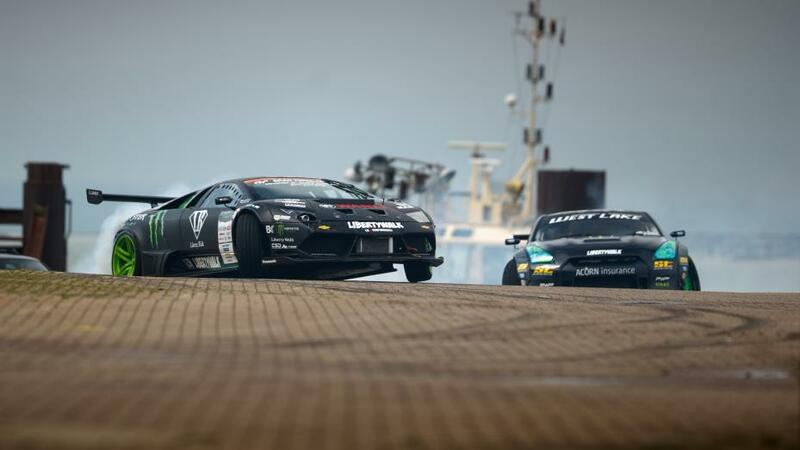 Last year Monster Energy released an epic video pairing up Vaughn Gittin Jr in his RTR Mustang and Daigo Saito in his heavily modified Lamborghini Murcielago. 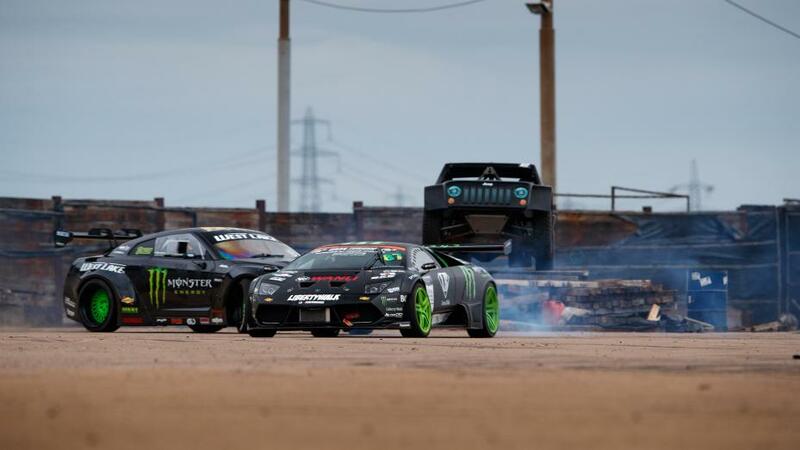 They called it Battle Drift and it was everything you would hope it would be with a 550hp Mustang and 650Hp Lambo battling it to the death, of many sets of tires. 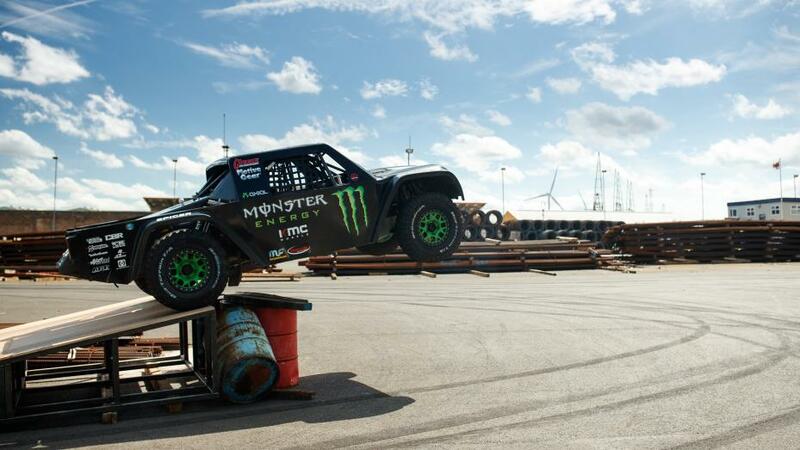 And now Monster is back at it with the release of #BATTLEDRIFT 2. 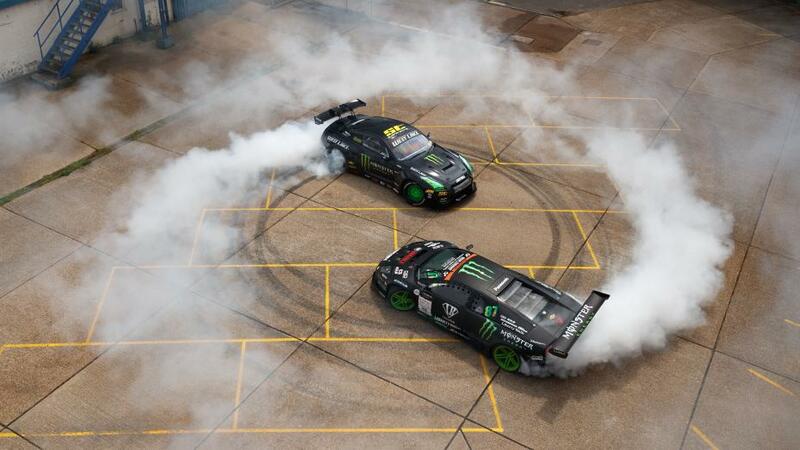 Vaughn Gittin Jr. must not have been available because rather than his RTR Mustang they opted for one mean looking Nissan GTR. 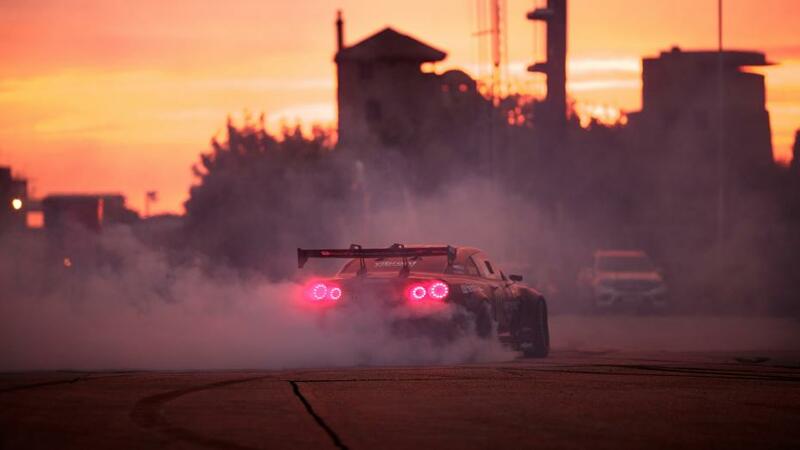 The car belongs to Steve “Baggsy” Biagioni and this time it’s not the Lambo with the power advantage because Baggsy’s GTR has been tuned to a staggering 1,400hp, more than enough to reduce any tire to a pile of sweltering dust. Plus it has a Liberty Walk widebody kit on it that looks fantastic. 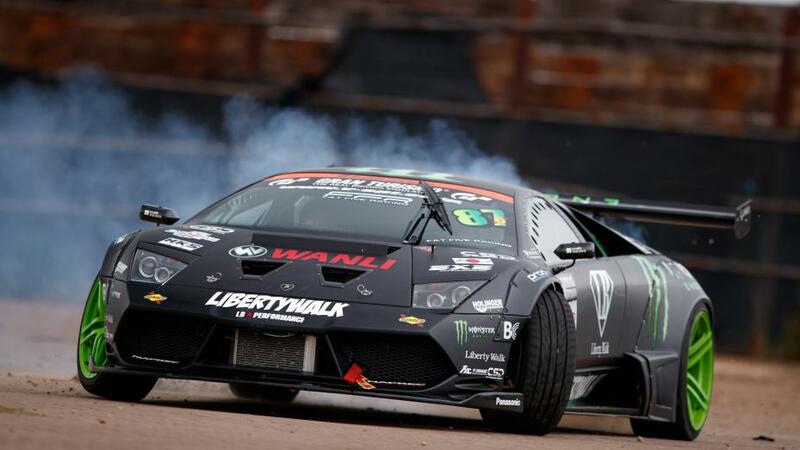 But as a reminder, Saito’s Lamborghini Murcielago is no slouch either. It’s been heavily modified as well, only not as much in the engine compartment. It still has the 6.5L V12 that’s good for 650hp, but the main modifications are more geared towards how the power is put to the ground. Rather than the all wheel drive system that came standard in the Murci, it now has a rear wheel only set up, which of course is better for drifting. It also has the Liberty Walk widebody kit on it and it looks absolutely sinister. 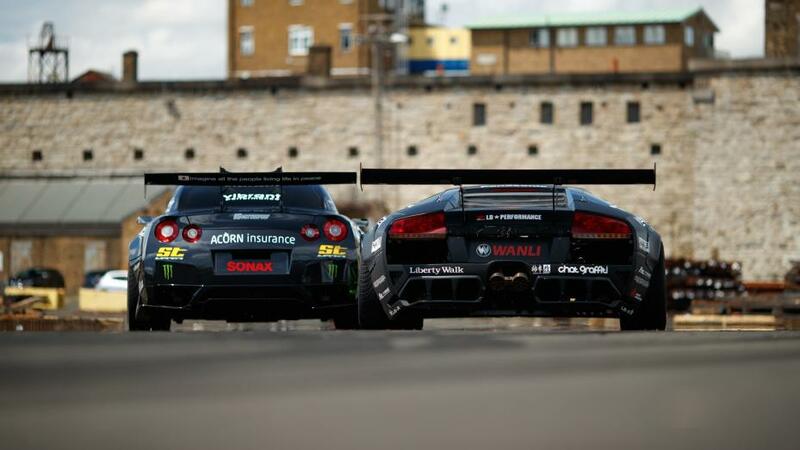 Needless to say, watching these to spectacular machines destroy some tires is a visual masterpiece. 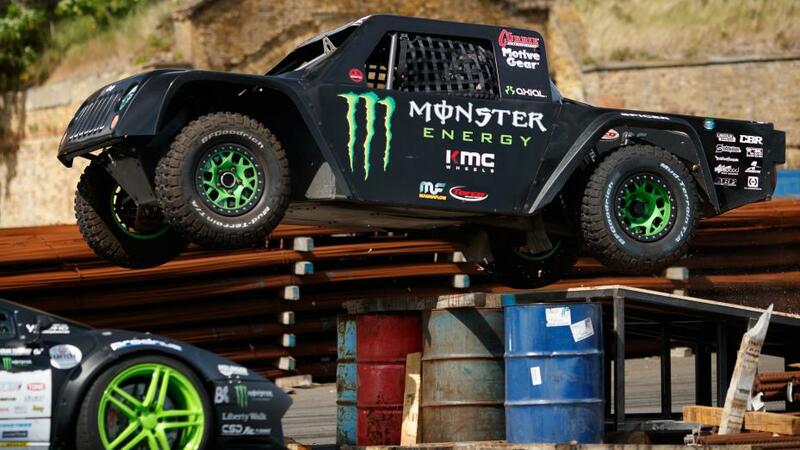 The video takes place in an old shipyard in England and as an added twist, Cassie Currie makes an appearance in his Pro 2 race truck. 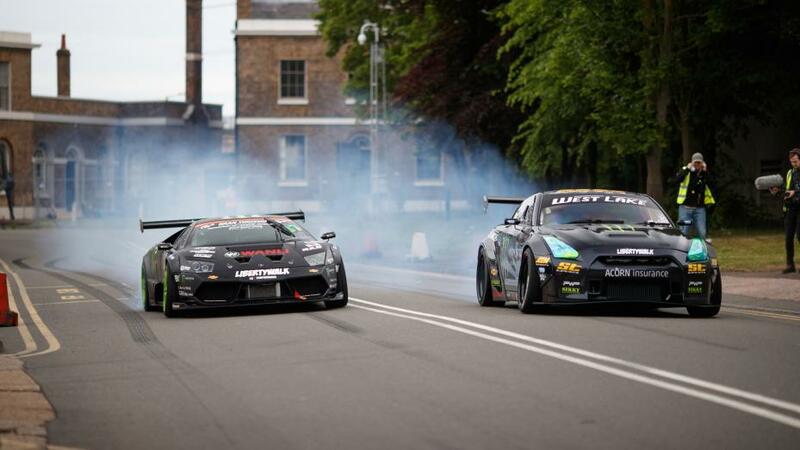 He doesn’t do a whole lot of drifting, but he does hit a few jumps that look pretty sick in slow motion as both the Lambo and GTR are putting on a smoke show in the background.